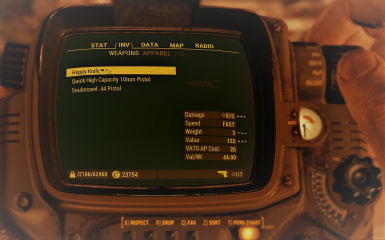 I'm always aware of new Fo4 updates. Mod will be updated as soon as possible. Every question related to mod update will be deleted. Any particular reason there is only manual download on the latest file? Really like this mod, but the x and y ordinates do not work at all. Is it only designed to work on the vanilla maps? Or is it tied to resolution? it was only tested for vanilla worldspace. But it should show values for other worldspaces as player always should have native x and y coordinates. where do you use it? 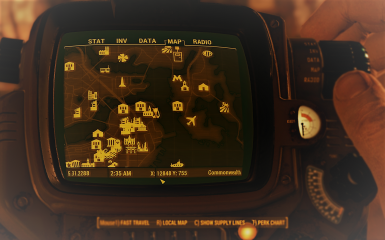 I'm in the commonwealth, using satellite world map. Only other thing I can think of I use Horizon. I should clarify that x and y do show up, but they are locked to one set of totally wrong coordinates. this looks like it's unsigned instead of signed, so it's not displaying negative values properly. instead -2147483648 to 2147483647 you get 0 to 4294967296, in this case x should display as -78929. 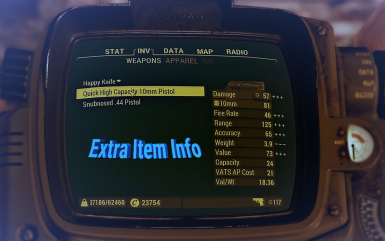 I think I would like to request added info for the radio tab. 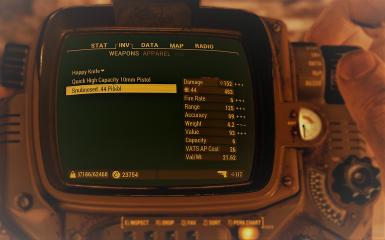 Those of us running station mods like Old World Radio and/or radio tuners like Reneer's Radio Mod (and I run both specifically mentioned mods) would find great utility in the pip listing the frequency a station is on. 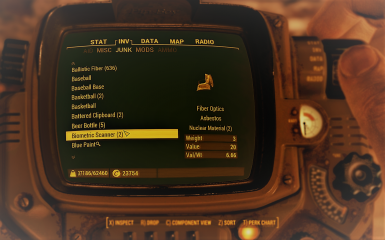 Could you add real time and Game time for this mod? Hey, is there anything obfuscated about the DLL in this file? I've been running through updating all my version-dependent mods that are messed up by every little change. I've learned how to do several different ones by myself so far, like updating the translation strings for DEF_UI. I have Visual Studio, and I was wondering if it's possible to figure out how to update DLL based mods like this by myself. Is it a complicated process, to update it to a new version? Given how simple some of the other things are, it'd be cool to be able to figure out how to do this myself and not have some of my mods broken one week out of every month waiting on updates. Body slots used for pieces of gear would be extremely handy.